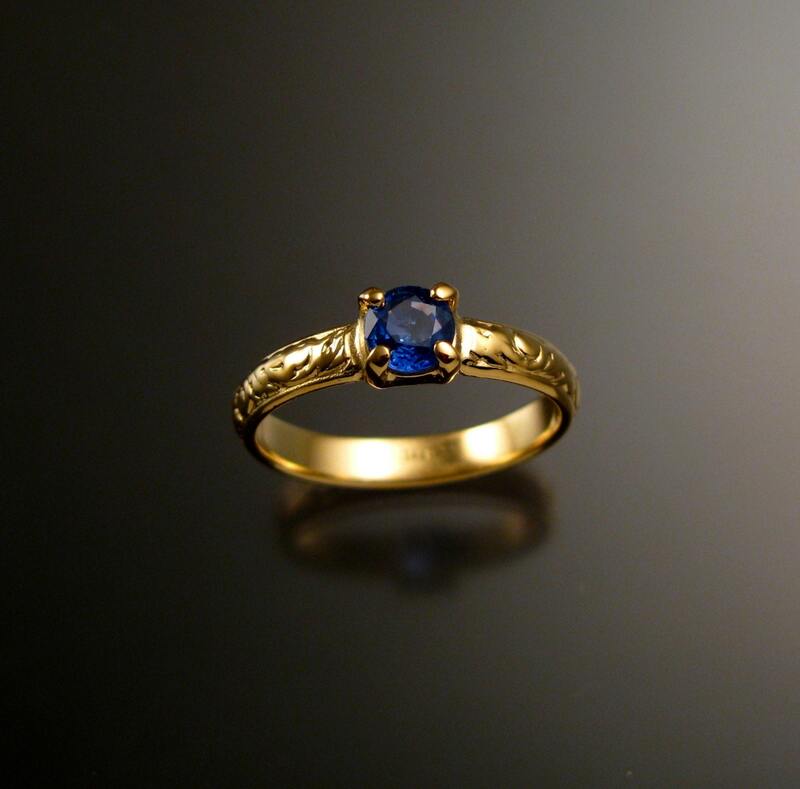 This is a beautiful natural Blue Ceylon Sapphire from Sri Lanka (formerly Ceylon). 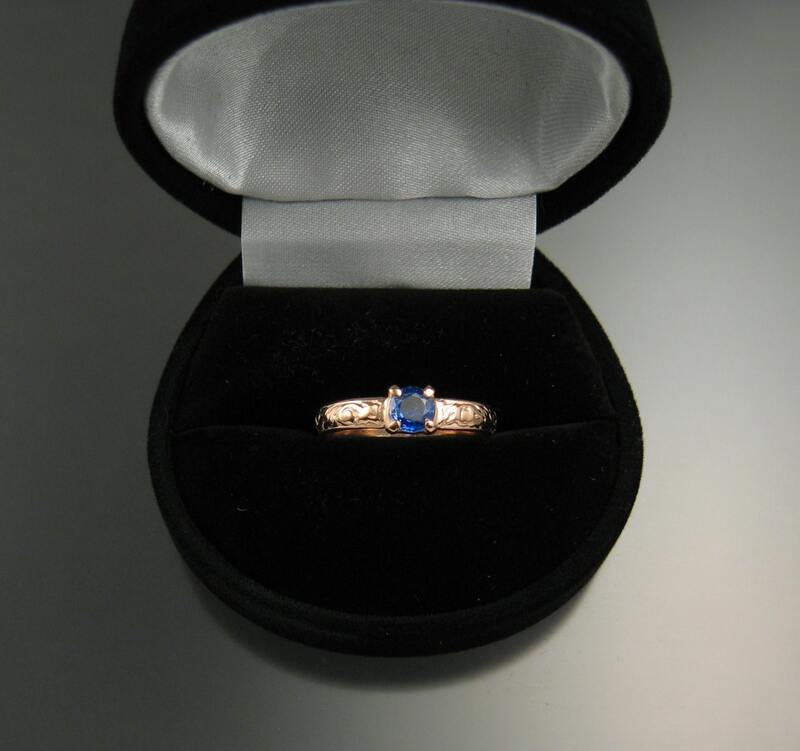 The 5 mm diameter stones are eye clean and a really superb, electric, deep powder blue color. 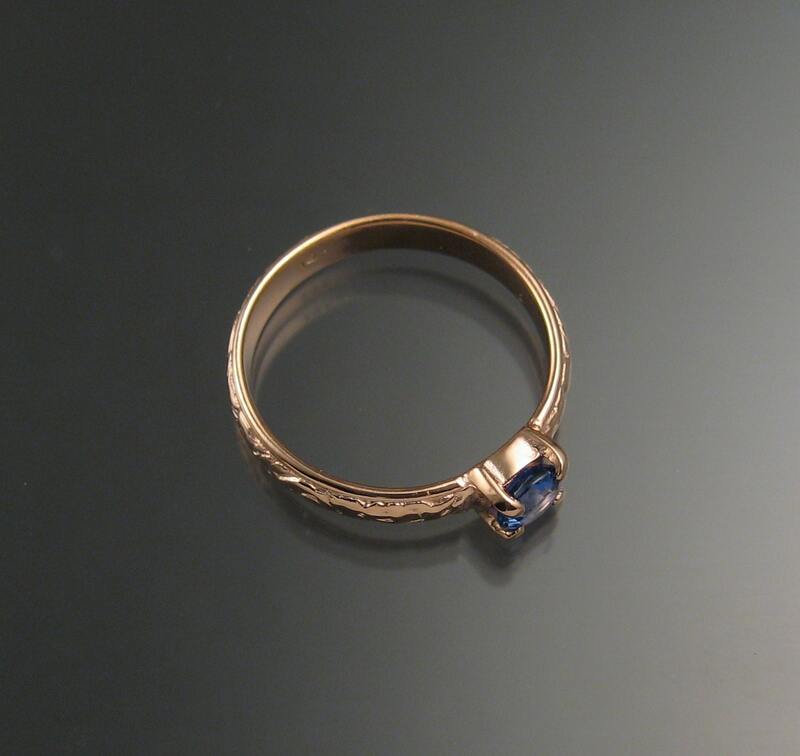 These are a really great color because they never look black like some darker blue Sapphires (even in low light). Some stones have a little zoning of color where areas are darker or lighter in color. The photos are un-retouched and accurately represent the color and clarity. They weigh from .53ct to .57ct. 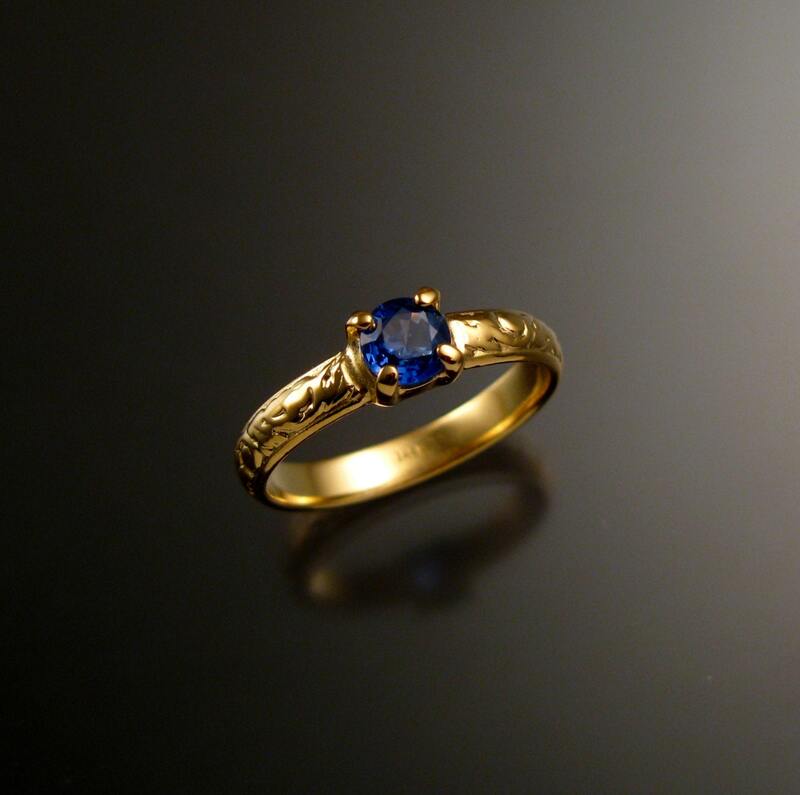 Set in 14k yellow Gold with 3.25mm wide shank in a vintage floral pattern. 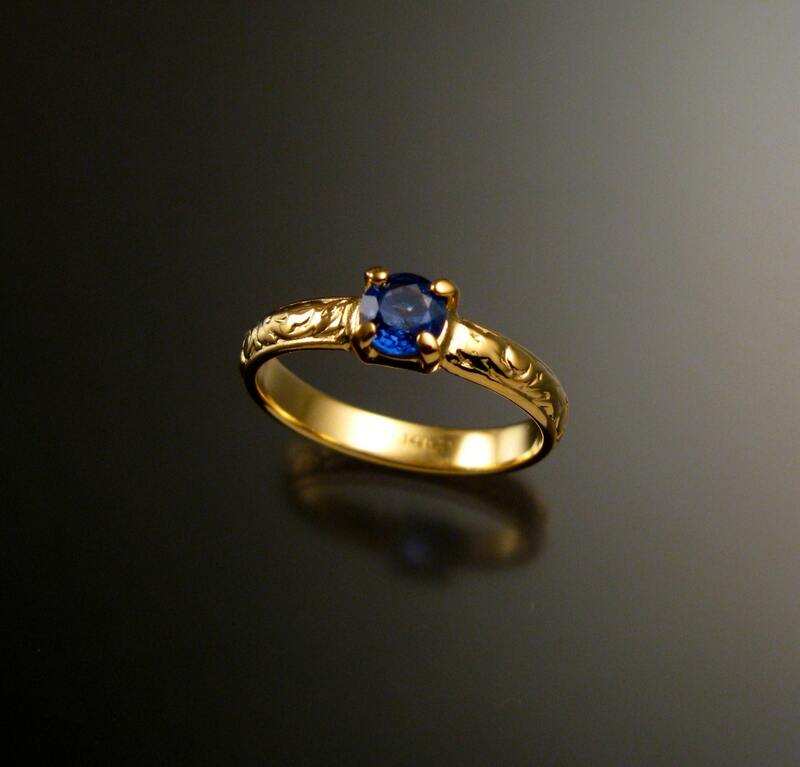 Sapphire is Mohs 9, second only to Diamond for hardness.